Getting out of the city isn’t always an option. But there are plenty of cleverly designed bars and cafes in Dubai that can make you feel like you’re sipping on a cool drink in the garden. 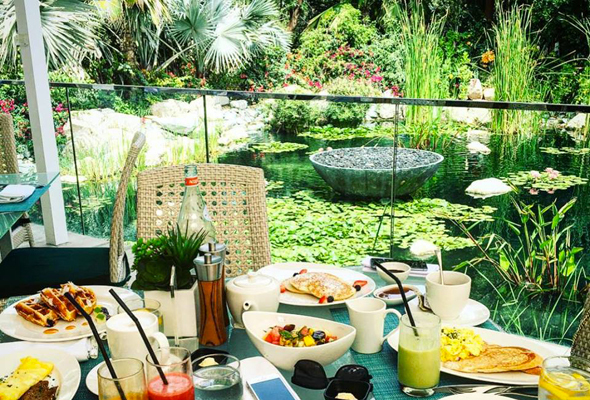 Here are 7 beautiful, botanical, garden-themed bars and cafes to check out in Dubai. 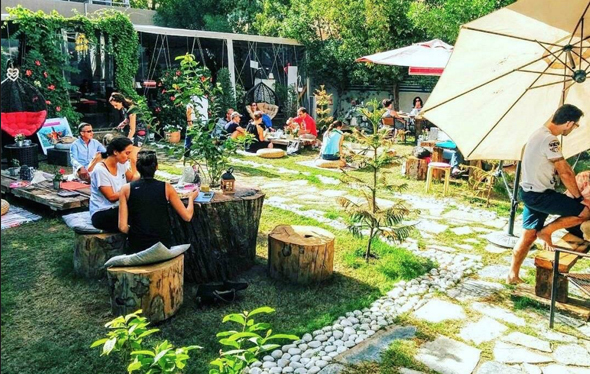 Inside Al Barari, the botanic residential community on the outskirts of Dubai, you’ll find healthy eating restaurant, The Farm. A leafy, tranquil oasis, we recommend you book ahead early on weekends, as this place quickly packs out with breakfasters. As well as serving up wholesome food for breakfast, lunch and dinner, The Farm frequently houses pop-up markets, cooking classes and child-friendly activities. 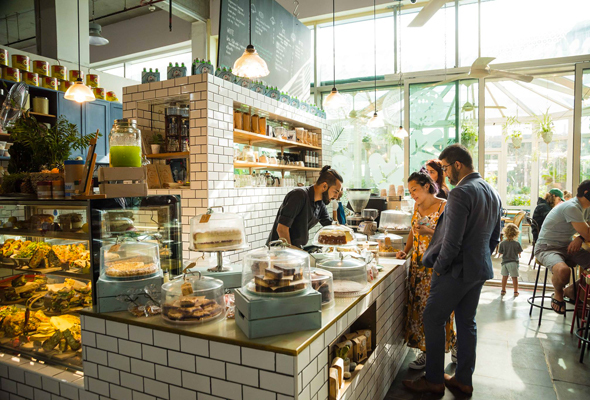 The original Roseleaf cafe can be found inside Dubai Garden Centre on Sheikh Zayed Road, so you’ll dine in an actual greenhouse if you pop in for lunch or a light bite at this cafe. It prides itself on serving simple, homemade quality dishes that don’t leave you wanting to renegotiate your rent cheques. Perch up by the window and admire the garden centre greenery. With its pretty rugs, tree stumps for tables and colourful plants, all hidden behind high walls, entering the garden of Life N’One feels a bit like Alice In Wonderland meets a zen garden. The wellness destination has everything you need for a healthy life, from an outdoor space dedicated to fitness classes to an extensive raw food menu and regular reiki and chakra healing workshops. We’ve made no secret of the fact that we’re huge fans of The London Project. This leafy, split-level restaurant and bar is inspired by an English country garden, with floor to ceiling windows that make for a fluid indoor/outdoor space. Found right under the wheel of Ain Dubai, pull up a seat by the bar or gaze out over the city skyline from a perch on the terrace and make your way through their inventive menu of international eats and serves. 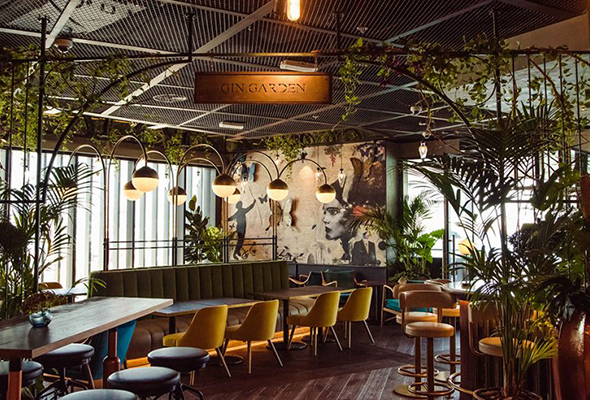 The now-legendary Hidden brunch may have put this Business Bay bar on the map, but outside of a lively Friday afternoon, it’s a great spot to enjoy a more chilled evening drink. 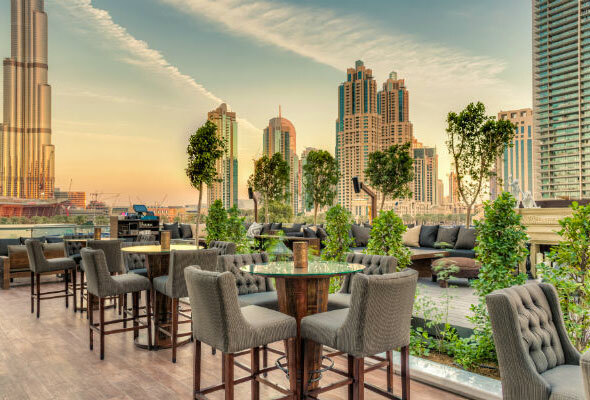 Inspired by, unsurprisingly, a treehouse, it’s a cosy yet stylish outdoor lounge with rustic wooden tables, comfy sofas and some of the best Burj Khalifa views in town. As you’d expect from the name, there’s plenty of lush vegetation, too. 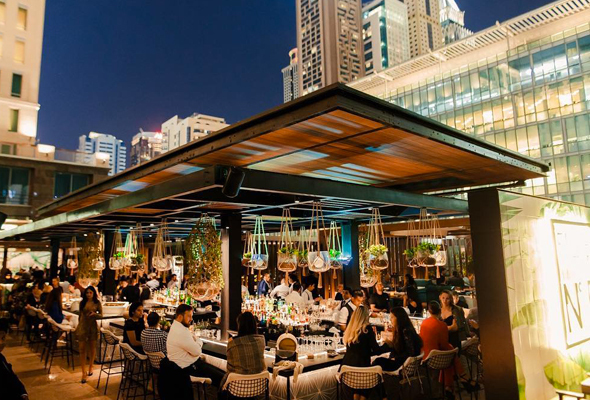 Bringing the outdoors inside is the terrace at Vii Dubai. The part-lounge, part-nightclub might be known primarily as a late-night spot, but before it turns into a full-blown nightclub, the fully air-conditioned glass dome is a beautiful place to grab a drink. The narrow dome is lined with enough lush vines across the walls and ceiling that it’s enough to make you feel like you’re dining alfresco. Stick around until later and make your way to one of their regular retro, house or urban nights. In the heart of the financial centre of the city, you’ll find Flair No.5. 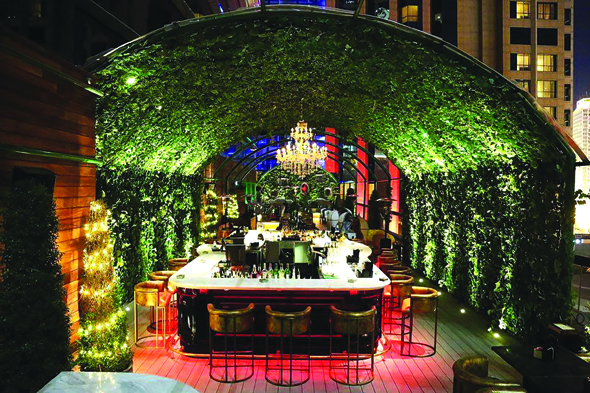 The secret garden-style bar opened in February 2018 and serves up botanical cocktails and floral-inspired dishes from its lush perch on the terrace of the Ritz Carlton DIFC. It’s split-level, with big booths designed for larger groups covered in floral trellises, and high tables line the area around the bar, which is also kitted out in lavish florals. Head down on a Wednesday for their weekly ladies’ night, or book early to get a seat at their lively Secret Garden Friday brunch.